A beef roast served with vegetables. Preheat the oven to 350 degrees Fahrenheit. In a small bowl, mix salt, pepper, garlic powder, onion powder, thyme and cayenne pepper. 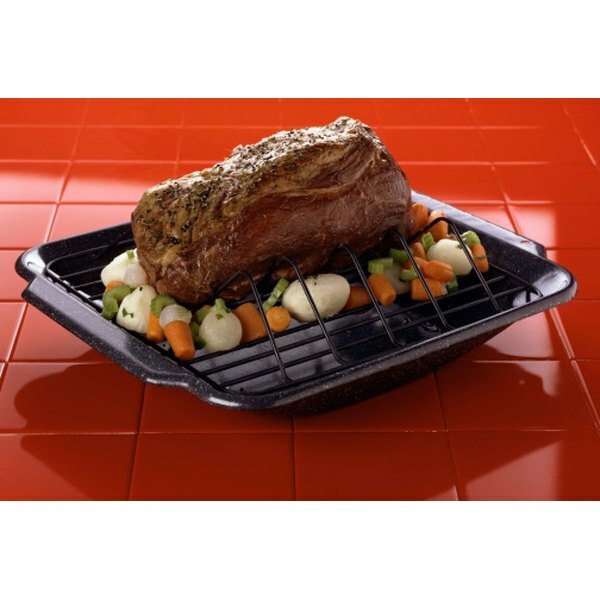 Line a large roasting pan with aluminum foil, making sure to use enough foil so that approximately ½-inch of foil hangs over each of the edges. Place the round roast on top of the foil. Pour a cup of beef broth and the sliced mushrooms over the beef round roast. Then, coat the roast with the spice mixture. The spices will adhere to the broth and form a paste. Tear off a second piece of foil the same size as the roasting pan. Crimp the edges of the two pieces of foil together to create a pouch. Cook in the oven until a meat thermometer reads between 145 degrees Fahrenheit and 170 degrees Fahrenheit. 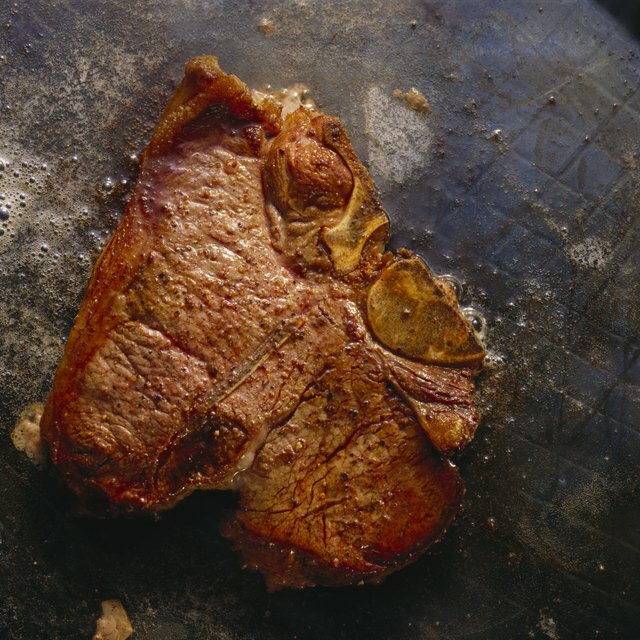 145 degrees Fahrenheit is medium rare, and 170 degrees Fahrenheit is well done. This should take two to three hours. Remove the roast from the pan and allow to rest for 15 minutes. Remove the pan drippings and mushrooms and put them in a saucepan. Mix the 2 tbsp. of cornstarch and slowly stir in ¼ cup of broth. Cook until warmed and thickened. Thinly slice the roast and serve with gravy.